Here are some stuff I got!! OOh look at all those goodies! That La Mer sample looks huge!!! You know they say 60% of the price of product goes into the packaging, and I swear the packaging on those goodies you got are so friggin' cute!! wow.. is DHC peeling. really caught my attention. dear, daiso in malaysia is MYR 5 per each items and 100yen in Japan, SGD$2 in s'pore. The mango mask looks really interesting. I remember years ago when DHC would send out catalogs with all these samples but nothing looks as cool as their products now. GOODIES! 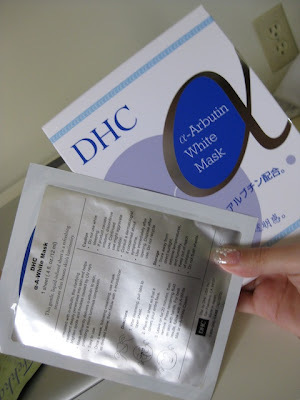 Where can you get DHC products? Yay I'm glad you like the stuff.. I'm looking forward to your results! nice haul i love any thing that helps make the skin look better! I can't wait for you to review the Acerola! I was thinking about ordering the Lotion and Toner. are these taken w/ your 50mm? Mango Facial peeling mask?? The word Mango just made it sound yummy haha. mango mask! ahh I wonder if I could find that at mitsuwa... nice haul girl! I subscribed to you dollface! Ooh look at all that great stuff!! The Mango one looks interesting. My pores have gotten huge! LOL! 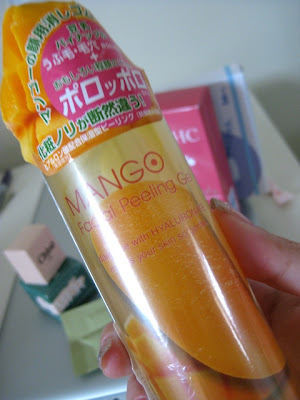 Mango peeling gel??? I want some too!! that sounds delicious - I would probably try to drink it! 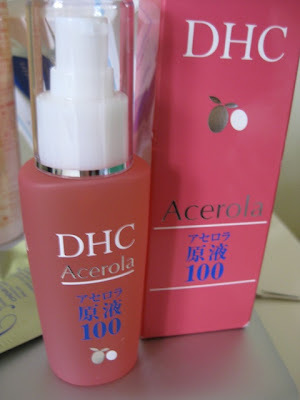 i have been loving the acerola range from DHC! i want to try frederick fekkai products too later, after i cut my hair short! hehe. Does that peel smell nice? 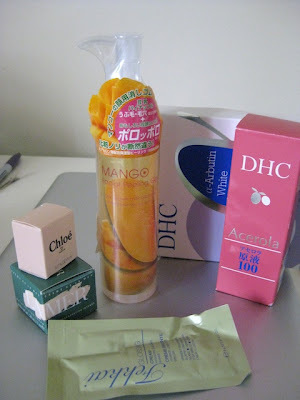 the mango mask looks yummy! and Im soo happy for ur cute hair crafts you've been making! ill make sure to check out some stuff ! Hey check this site out! i wonder how yummy the mango peel smells. i am so curious about your mango peel!!! please do a review!!! the packaging is soo cute!! !...im so curious!!! how is you be my love?